Perth Individual students are exposed to music on a regular basis: singing, music theory, choir, the language of music (notation, rhythm, harmony, musical literature and history), learning how to play music instruments, musical plays, concerts and much more! As part of a well-rounded education children of all ages should have the possibility of self-expression through music. We give them opportunity to listen to what they find pleasing as well as participate in music, dance and songs. Maria Montessori did many musical experiments with very young children. She noted the positive neurological effects of organised motor activity through rhythmic movements. Modern research has also proved the value of allowing children to explore movement and sound separately. Movement is linked to children’s improved reading ability and concentration. Movement and sound programs such as Montessori’s “walking on the line” are helpful to children and can assist with auditory discrimination, spatial orientation, kinesthetic organisation and visual-motor skills. 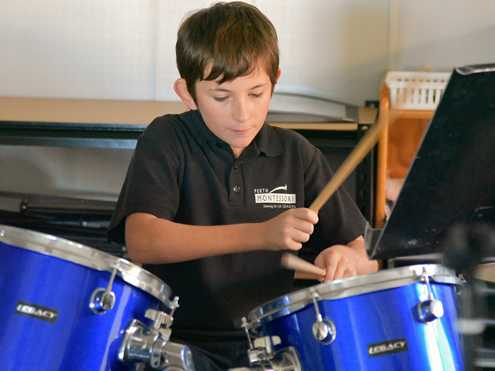 Music plays a vital role in the education of our Perth Individual students and is embraced by the entire community. Please see our directory of tutors below. Please ensure you discuss your child undertaking music tuition with your child’s Director before speaking with any of our music tutors. Todd studied at the Western Australian Academy of Performing Arts and his special areas of interest include music history, harmony, aural training, performance, and music education for the young student. To have your child undertake piano or keyboard, please contact todd@pi.wa.edu.au. Aaron has 35 plus years of teaching experience both in Australia and in the UK. He has performed with bands all over the world including Gene Pitney; the Supremes; Lulu; Freddie Star andVera Lynn. Aaron has also performed in the Beatles Tribute Band “The Beatnix”. 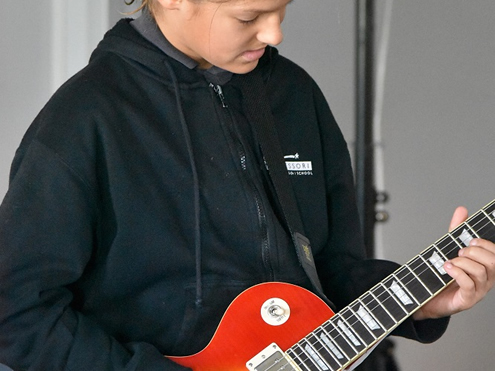 To have your child undertake guitar, please contact Aaronjwoolley@hotmail.com or phone 0405 348 903. Jessica Porter-Langson has a wealth of experience as a private tutor. Jessica completed a Bachelor of Arts with a double major in Music and Music Specialist studies at UWA. She is the President of the Music Student Society and the Ordinary Guild Councilor on the UWA Guild of Undergraduates. If you would like your child to undertake Strings Tuition, please contact Jessica via email jess.pl@hotmail.com or mobile on 0403 177 552. As part of a well-rounded education children of all ages should have the possibility of self-expression through music.